Bronzers give your skin a healty glow, make you look tanned and they shape your face. 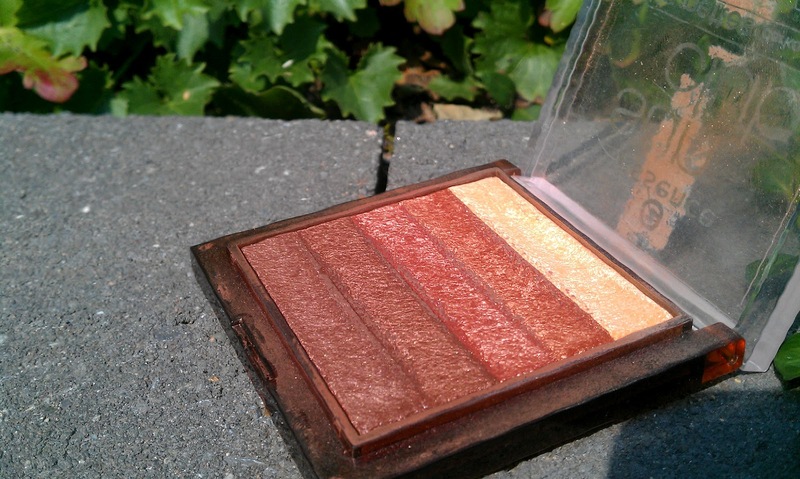 I always use a shimmery bronzer because I like my face to have a bit of a healthy glow! This bronzer can also function as a highlighter and eyeshadow, that's why I like it even more. I purchased this bronzer maybe 2 years ago (that's why the packaging is all messed up) and I just recently started to use it daily. The packaging says it's for brunettes with dark skin... I'm not a brunette, nor do I have dark skin, how stupid must I have been to buy this? Haha. Even though it's a bit dark I can still manage to use it! 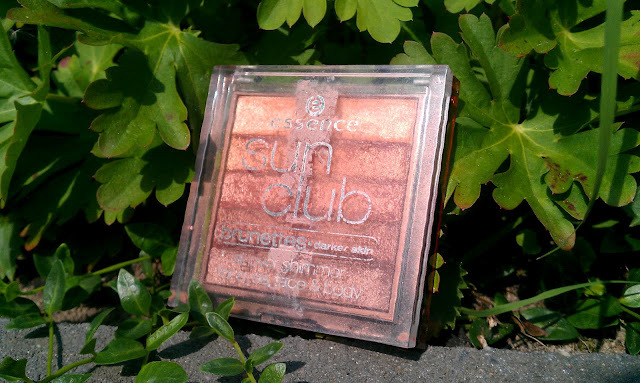 You can still get a bronzer similar to this one from Essence, I've seen recently! The colors I use most are the upper 3 colors because they're the least dark. 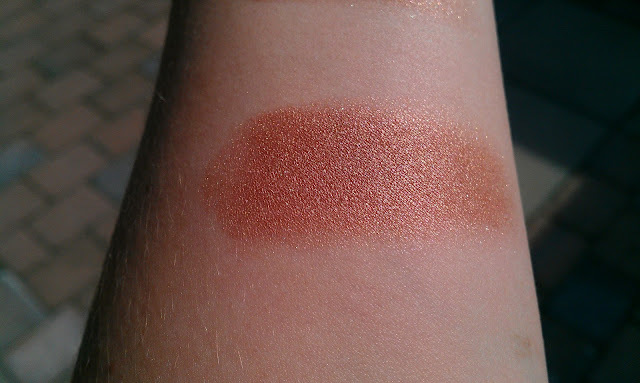 As you can see this bronzer is highly pigmented and shimmery... gorgeous. This is what the bronzer looks like when all the colors are mixed together. It's a bit on the red/orange side, but that's not a big problem for me. Of course I don't use as much as on the picture, just a little bit on the sides of my faceto make it appear slimmer and bronzed. 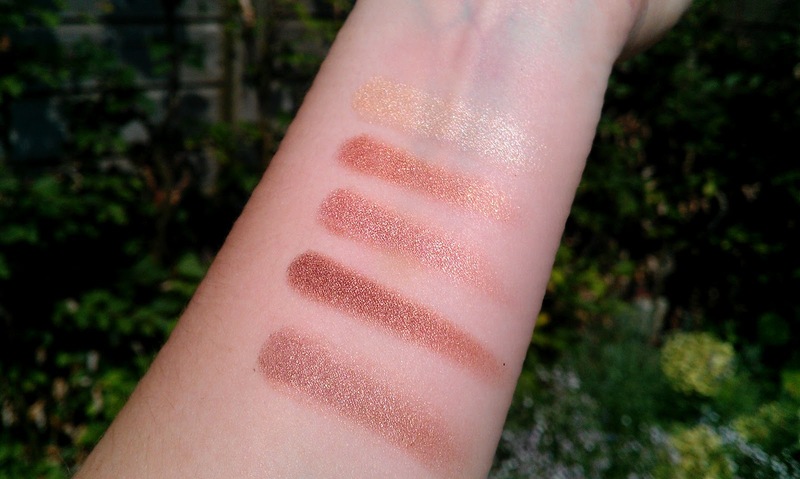 This bronzer has probably cost me about €3, which is really affordable! The bronzer looks really nice! Hij is inderdaad heel erg mooi!! That's really pretty. A bit frosty for a bronzer, in my opinion. This would work really pretty as eyeshadow for me. wauw, hele mooie kleuren, vooral de lichtste! Het zou leuk zijn als je me terug gaat volgen, want bij de honderd leden komt er een give- away! En hoe sneller je volgt, hoe sneller de give- away komt!